TripAdvisor, the world's largest travel site*, enables travelers to unleash the full potential of every trip. With over 600 million reviews and opinions covering the world's largest selection of travel listings worldwide – covering approximately 7.5 million accommodations, airlines, attractions, and restaurants -- TripAdvisor provides travelers with the wisdom of the crowds to help them decide where to stay, how to fly, what to do and where to eat. TripAdvisor also compares prices from more than 200 hotel booking sites so travelers can find the lowest price on the hotel that's right for them. TripAdvisor-branded sites are available in 49 markets, and are home to the world's largest travel community of 455 million average monthly unique visitors**, all looking to get the most out of every trip. TripAdvisor: Know better. Book better. Go better! Dear Riginov customers, we appreciate your trust and confidence in us and hope that you are satisfied with your purchase and service. 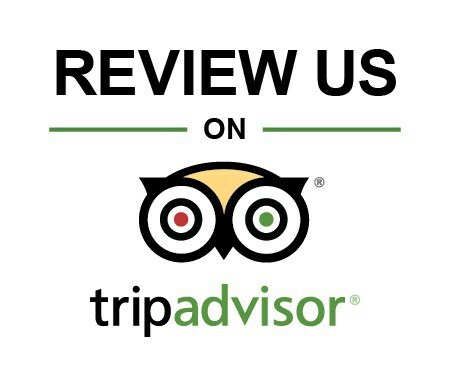 If so, we will be grateful if you could take a moment to review us. Click below to share your experience and help other potential customers to make their right purchase! Thank you in advance.